Seven Safety Strategies for Women. “You’re a woman, you shouldn’t have been running alone!” He blamed me and meant well. I get why it’s easier to blame the victim for their misfortune. When bad stuff happens our own sense of the world being a safe and moral place starts to splinter. Speak to most female runners and they’ll tell a story about being whistled at, honked at, or trailed by a stranger in a car while out running alone. These experiences leave women feeling unnerved and vulnerable. But the advice to never head out for a run without first rounding up a couple of buddies is unworkable -especially for an individual sport such as running. Statistics today show that women make up 57% of running event finishers, which proves that more women than ever before are out there training. That said, when someone larger and stronger than me gets in my personal space I get scared. 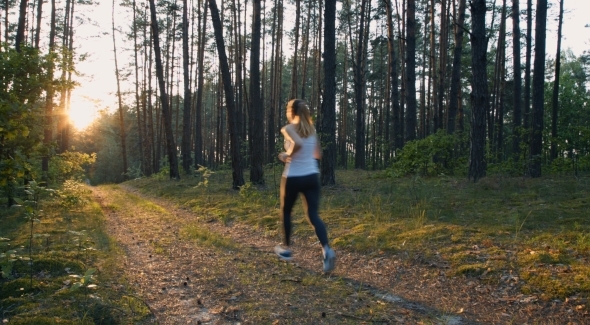 What then can be done to help keep women safe while out running? Tell someone where you’re going and how long you’ll be. Use the Strava app. It has a safety beacon function which will send a text to a nominated safety contact who can then track you via GPS. Keep your mind on your surroundings. Use your instincts. If somewhere or someone makes you feel uncomfortable, go with your gut. Leave rationalising at home with your slippers. Have a rule like run within 100m of houses. Predetermine your responses. It’s OK to ignore someone, you don’t have to listen to an honest face and good story just because you don’t want to appear rude or unsympathetic. Keep moving. If you don’t give a response and they call you a derogatory name ignore it. No woman wants to be insulted when she’s trying to protect herself, but it happens. Here’s a great acronym to remember: Babe In Total Control of Herself. Be that kind of a babe. If you’re running in low light conditions, wear something bright, white or reflective. At night use, well-lit roads that you know. Carry a torch -remember as a kid you’d shine a bright light in someone’s face to blind them. It works on grown-ups too. Run facing oncoming traffic. You’ll be seen and it’s impossible for a vehicle to pull up behind you. Our ears play a vital role in being mindful of our environment. I often hear bikes, dogs, pedestrians and even the odd stray golf ball hitting the ground long before I see them. Because of this, use one earphone to listen to music and when needed remove both. Don’t use noise cancelling headphones –just don’t. Be prepared to use a big voice to attract attention. Carry a whistle or personal alarm. If you can shock and disorientate an attacker then you gain vital seconds to get away. Take your cell phone with you. Invest in a purpose made armband or waistband. Mix up your running routes, the days and times you head out. We know about safety in numbers. If you can make it work, find a buddy or join a running group. I often run with my dog on the leash. She’s great company and always appreciates the exercise. Bear in mind that dogs not trained as guard dogs will not automatically protect you if the need arise. However, most opportunists will be put off by the added complication of a dog. Men, you can help too. Male awareness matters and given that men don’t usually experience harassment while exercising alone, being unaware of the problem is understandable. Guys, we know you want to be helpful and not a creep –right? I can’t speak for every woman but here’s what helps me feel safer. A courteous nod as I pass by, or like the elderly gentlemen I see out walking a polite, “Good morning.” As he continues on his way. And if you’re still unsure just ignore me because that’s OK too. The strategies I’ve given are not an exhaustive list, but even with every safety strategy in place, it’s possible for bad things to happen. How then do we deal with this reality? Stop blaming the victim. To blame them for being there at the wrong time and expecting that they limit their activity changes nothing and victimises them further. Why penalise a victim for the actions of their predator? No one purposely puts themselves in harm’s way. Show compassion to the victim. Help them find ways to recover and put blame where it belongs with the predator. What real hope exists, given that bad stuff can happen to good people? Here’s a true story reported in the U.S. Telegraph of a man and a predator. While hunting elk in the Montana wilderness, Chase Dellwo suddenly found himself face-to-face with 400-pound grizzly bear. The bear charged at him and knocked him from his feet. With only seconds to react, and after sustaining bite wounds to his face and leg, Mr Dellwo recalled a tip passed on by his grandmother. The bear retreated, and Mr Dellwo was taken to hospital thankful to be alive, and for his grandmother’s advice. This story shows the big effect a small amount of knowledge can have when humans become prey. We are not built to outrun predators we are built to outsmart them. Stay smart, you got this! Go live your best life! Older PostReach New Horizons. Draw the line. Gain perspective.